I was so excited to reach my 500th follower last week! I'm still amazed that people actually come back and read what I have to say - well... maybe you don't read it maybe you just check out the pictures but I'm still amazed and grateful! So as promised I will be doing a giveaway of goodies from my Etsy shop! If you haven't guessed it already - I LOVE to collect paper! All types of paper - new paper, scrapbook paper, vintage paper - postcards, text, game pieces - EVERYTHING! I have a whole room at the house FULL of paper. That's what my etsy shop is all about - sharing my love of collecting bits and pieces of everything paper related. So what do you have a chance to win? Win a bundle pack of some of my favorite etsy shop ephemera packs: 60 piece variety ephemera pack, 60 piece world traveler ephemera pack, 10 vintage europe postcards, Tiny Ephemera Kit - A bit of this A bit of that, Tiny Ephemera Kit - Child's Play, and 50 vintage international postage stamps. Giveaway ends at 11:59 PM EST Thursday March 10, 2011. Winner will be announced on Friday! I love to collect butterflies! Well, aside form papers (I think all crafters collect paper, lol) I love Disney snowglobes. Ariel is my absolute favourite. Hi there. I collect lots of things, among them boxes and postcards. hi. i absolutely love to collect notebooks. especially the cute one. haa hope ill win ! thank you Melissa ! p/s: i've followed and liked you ! I like to collect ribbons, and old pieces of jewellery. Love your blog! I love to collect buttons :) Love your paper collections. paper, paper, paper - it's the colours, textures, designs. . . paper makes me happy! (well it's one thing that makes me happy! I love to collect zebra pics - they look so amazing and each one so different. congratulations Melissa. . . 500 followers, quite an achievment! I'm a follower! I love to collect cameos. They're so elegant and feminine. i collect books! i have so many of them - even when i give them away or loan them out, my bookshelves are still overflowing. i also collect paper and other fun stuff for my journals. oh your giveaway looks awesome! I love your blog...your thoughts and ideas are awesome. I love to collect old Coca Cola items, my kitchen is home to each and every find. Congrats! I am one of your biggest "fans"..
Hi! I love your blog :) I love to collect vintage accessories. I just recently started following your blog...love the work you post! I also collect (too many crafty) things. The stuff I really accumulate is FABRIC, lately fat quarters. If it cute I simply can't resist buying it (or keeping old clothes because I love the fabric)! I collect color! My daughter loves to ask me what my favorite color is. I can never answer. It changes all the time. I finally started telling her "Emma color" (her name), just to stump her. I love the color of the sky on a summer evening when you're driving home from a kids baseball game. It's the most intense blue, all shaded with orange at the bottom as the sun sets. I could go on but... So, I'm always trying to find this, and other colors to put in my house. 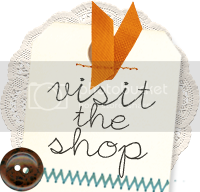 Paper, ribbon, marbles, home decorations, fabric, flowers, etc. and I posted a comment about your giveaway on FB. I'd really like to win this. I am already a follower and...... like you, Melissa... I love PAPER. I think that paper is my favorite thing to "hoard" Collect sounds much nicer, though, huh?! Your blog is one of my regular stops, your creativity is so inspiring and yes, I actually read your posts as well! Have a great day and many congratulations on reaching 500 followers! Wow, what don't I collect. French goodies, paper of course, glasses vases, candlesticks, frames, antique sewing cabinets (not on purpose but somehow I now have 5) and books. Lots and lots of books. Also, yes, I am a follower and I Facebook like you. And I did buy something from your store and I love it. Congratulations on the 500 followers, that is amazing! Love to collect paper, because it's pretty. Love to collect bling, because it's shiny. Love to collect brass cookie cutters, because their fun. Congratulations again on all your followers. I am happy to be one of them! I love to collect pretty fabrics. I do intend to use them but I've got so many now that I'm needing to find more room for my growing collection! Ha, ha! Does this count? My daughter left her fb open and I posted about the giveaway on hers. Now I've posted on mine as well. New fan of your FB page - commented on your post about the giveaway. I love to collect anything paper too. I especially love vintage looking paper. Tags, tickets, postcards, etc. I collect mediums for scrapbook albums too. My husband metal cigar tins, boxes, etc. I would LOVE this to win these goodies from you! I added your site to my blog! I think that's how to post the link ... not sure! Eeep! For some reason I like to collect vintage games. One day I think I'll actually use the pieces in my crafts. I love to collect metal - pop cans, hardware, handles, knobs, meshes, grates, foils... MmmmmmmmmMmm - but paper is a close 2nd!! Shared you.. would love for my scrappy friends to see your creativity! I love to collect. . .compliments! Love your blog! Thanks for the chance to win!!! Following your blog now. Cant wait to get updates! Found you on Facebook. Another shot to win! Yay!!! And last but not least...shared your link on FB. Thanks for all the chances!!! I collect sand and seashells from all of the beaches that we visit every summer! 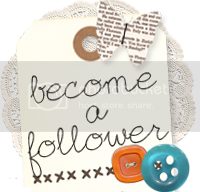 You have some fantastic ideas, I'm a new follower of your blog! I'm also following you on Facebook now too! 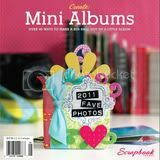 I love to collect scrapbook embellishments for future projects and empty picture frames to change up. I am a follower, congrats on reaching 500 followers! I collect stamps and rocks/sand/dirt (it's a long story, which started with my husband helping himself to some dirt when from an excavation site at Stonehenge). I love to collect snowmen! I love to collect old books, especially ones in languages other than English. I also have a pretty neat mermaid collection. I just bought something from your shop this weekend. I Love to collect scrapbooking paper too! Okay and now I am following your blog! ....And I also "liked" you on Facebook! I'm a collector of paper and trinkets to use in "my vintage" cards and boxes. I am drawn to office paper, especially order and receipt forms. I love your blog. congrats on your 500 followers!! WOW, What an accomplishment - I've loved your Week of Dollar Store Projects!! I love to collect all things to do with papercrafts - embellishments, especially! I collect thimbles. Already a facebook fan and blog follower. I'm a paper junkie too.. I just can't seem to pass by a nice piece of paper without thinking of all the things I could do with it! I collect Scrapbook Supplies - no really, I do :) That should have been part of my last comment, LOL! I just "liked" you on Facebook too! I love to collect Owls! I'm also a paper addict.I have more than I'll ever need but would love to have an assortment like you have! I just "liked" you FB page. Of course I am a follower! I love your style! I love to collect books! any little bits are helpful to the crafter! thanks for the chance. I just found your blog! I also love paper of all sorts - old, new you name it! i love to collect lot of things.. pricetag of my dresses, bills, paper.... to name a few! I collect odd pots/containers that I can put plants in! I find things in people's dumpsters, in the alley ways, garage sales, etc. I also collect craft crap... because shoot, it's addicting. I think the question should be What DON'T I collect. I love papers, teddy bears, tinkerbell, nativity scenes, inks, stamps, you name it I collect it!! Thanks for your blog. I try to read it evey day, don't always have time to comment, but love it. I used to collect tea sets, but I really don't collect much other than art supplies. I bought lots of goodies from your Etsy store. I can't wait to get them! What a great pack of stuff! I'm your 550th follower! I love collecting vintage jewelry and flamingos. I have a collection of office supplies. I can't help myself from buying new pens and post its and notebooks. I love to collect cookbooks. Scrapbooking and cooking, the two best things in the world. I collect too many things! Paper, buttons, emphemera, beads, fibers. I love collecting things in every color (lots of rainbows in my supply) & vintage labels. I am a new follwer! How exciting is that. 500 is a big number if you ask me. I don't even know if I could fathom the idea of it. I just stumbled on to your blog and love it. I collect fairies...have done for years. I collect fabric and ribbons. Congrats on the big 500! I love to collect fabric. Love the Dollar Store ideas! I'm a new follower and love paper and seashells! I collect tiny teapots. Your blog is awesome! Thanks for the chance to win this. I love to collect notebooks! Pretty notebooks with gorgeous covers, notebooks from places I visit, notebooks from people I love. Boxes and boxes of untouched notebooks, because they are way too precious to use up! I love to collect ideas and inspiration. This is my first time on your blog -what lovely things! I love to collect postcards and cardboard coasters. You are a hoot! I collect all kinds of paper things too in hopes of putting them in scrapbooks where they belong. Unfortunately, they are piling up but I love to empty a box and just sift through them remembering why they are there. I love to collect old postcards. I think everything is interesting about them, including the message,stamp, and postmark if they've been used. I am a sticker hoarder. I buy them all the time, on sale, on clearance, full price, big, small, glittery, thick, shiny, raised, velvet, you name it. I love stickers!! I collect paper, emphemera from little things like tags from clothes, tickets, etc...always something that catches my eye that might be useful! I love to collect vintage lace! !